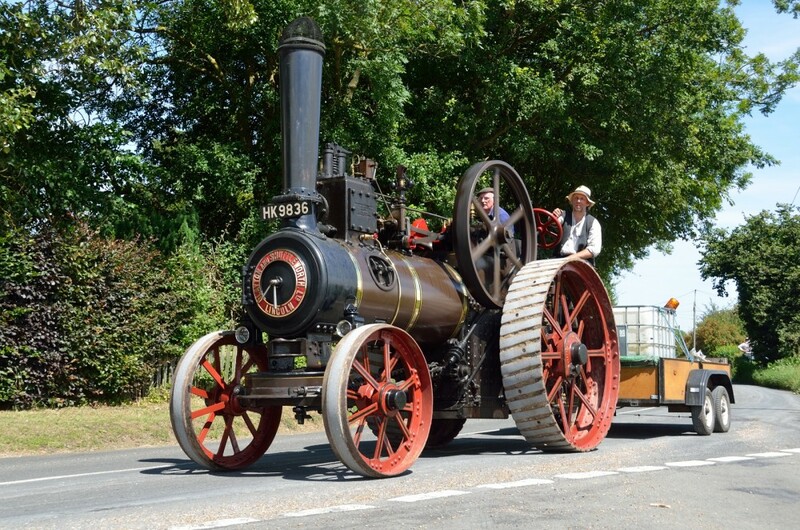 The first entrant to leave Webb’s Yard at Acton was Mark Vine on his Aveling & Porter Roller which was converted to diesel, with the addition of an Mclaren Engine during its days with Bomford & Evershed. 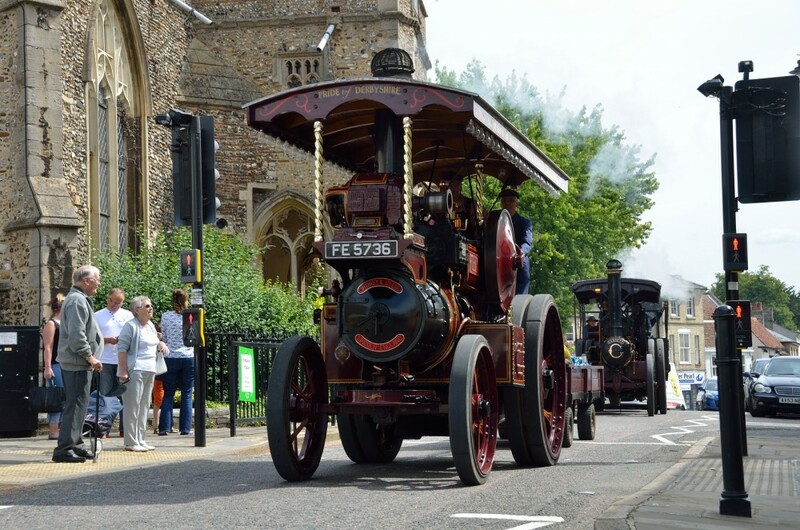 Following behind were several rollers of various makes, including the three engines being operated by Alan & Stuart Hines together with their respective crew. 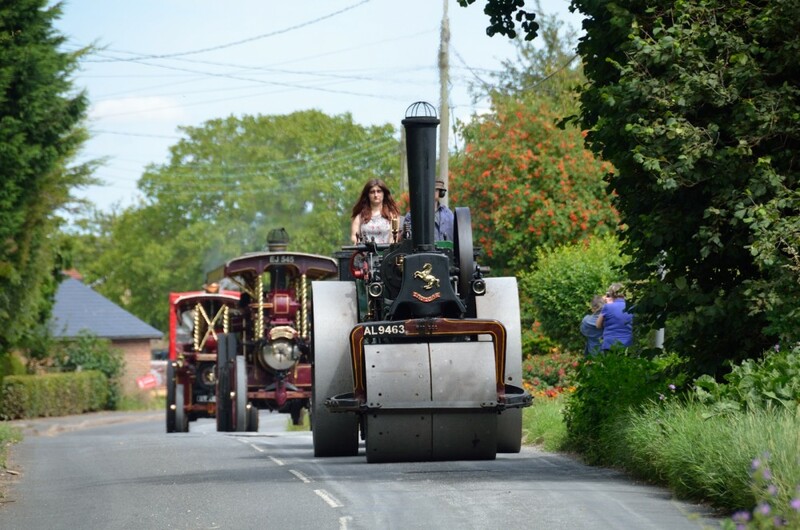 These engines were Robey Showman;s Tractor ‘Bathsheba’, Aveling Roller ‘Percy’ and Aveling Tractor ‘Old Peculiar’. 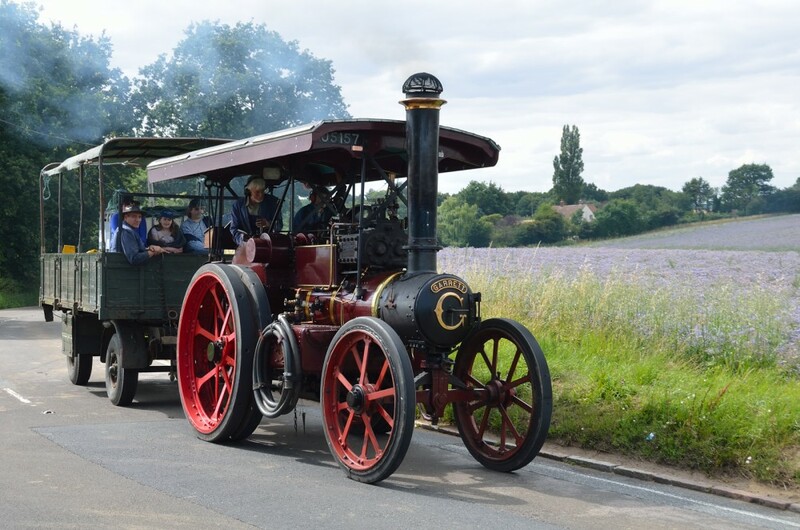 Also seen at the Museum stop was the furthest travelled entrant, Alan Eatwell and his delightful Foden Steam Wagon which spent its working days in Norfolk. 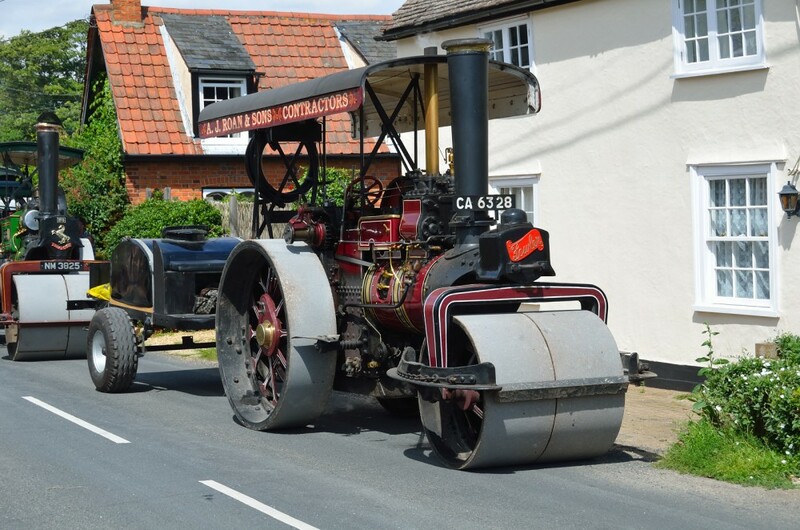 Parked directly outside the pub were the final pair of steam entries, President Keith Honour’s Burrell Showmans ‘Margaret’ and Vice Chairman Andrew Walings Foster Tractor ‘Lord of the Isles’. 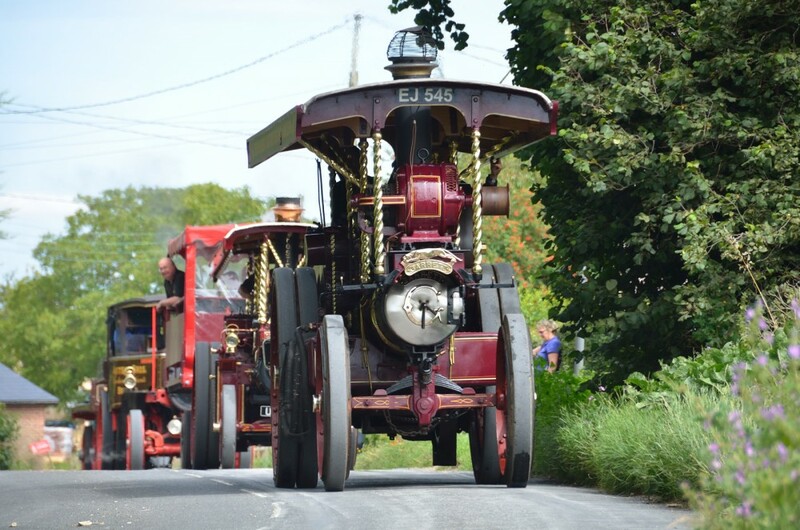 Both engines were hauling trailers filled with people and fitted with banners advertising the society. 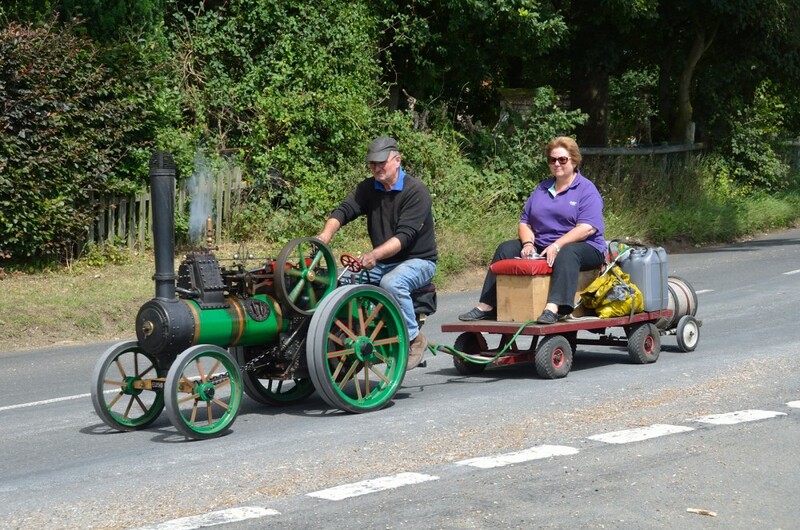 The run left the pub just after 2pm heading for Sudbury via the descent at Ballingdon Hill, passing back through the town and onto Long Melford where a pleasant couple of hours were passed with the engines in the street and large crowds of onlookers and club members. Sunday as promised was a much more leisurely day. Several engines decided to return home or move onto their next event. This meant that in the end only 7 engines ventured out towards our days visit - Hawker Restoration. There were however a good deal more vintage vehicles joining us from various local stables, giving the day a more ‘vintage’ rather the exclusively ‘steam’ feel. 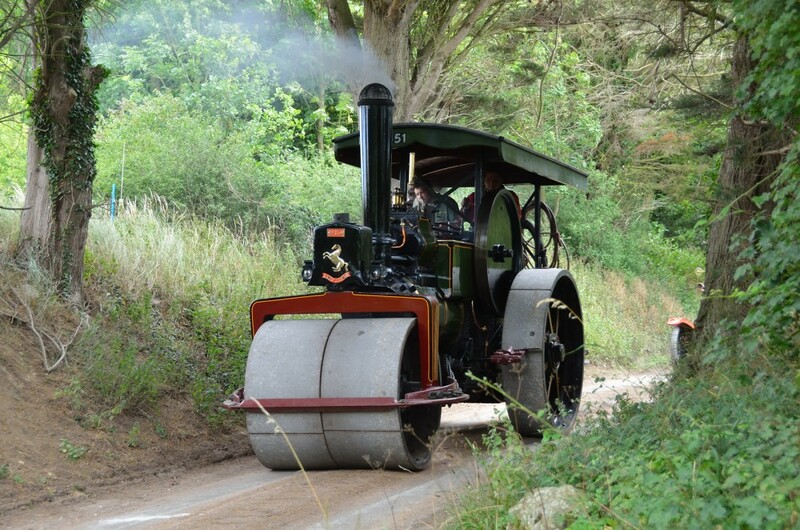 Mark Vine changed from the Aveling to an MG, which made for a much faster ride! The aeroplane side is, however, what really made the day. The firm of Hawker Restoration was founded many years ago with the aim of restoring to flying condition three WWII Hawker Hurricanes. 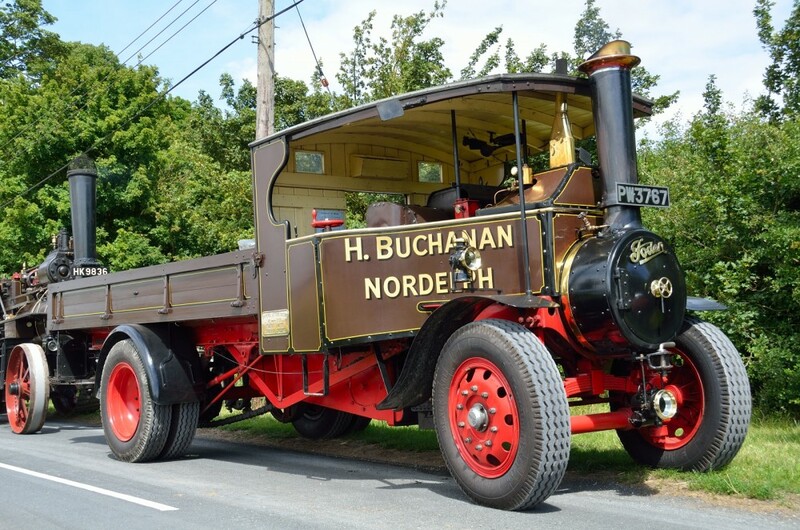 This the firm did with great success and can now claim that out of 15 air worthy examples, 11 have been restored by themselves, and they have worked on three of the other four. Two Hurricanes were in the works under restoration (with a third off site nearing readiness for its maiden flight). Over 25,000 hours and £600,000 of raw materials are required to restore a Hurricane to flying condition, and the quality of the workmanship on display was appreciated by a large number of mesmerised engine men!